The Blue Wave is coming, but it won't happen unless we all do our part. Whether you have an hour, a whole day, or even the entire weekend we've pulled together this great list of opportunities in and around Brooklyn. From text banking to canvassing out on Long Island, there is something for everyone. Canvassing/GOTV for Liuba Grechen Shirley. Hosted by RunNYC. Sign up here. Canvassing for Andrew Gounardes. Hosted by Indivisible Brooklyn. Email playpenned@gmail.com for time and location. Canvassing, Phone Banking and Visibility for Zellnor Myrie. 6AM-9PM. Sign up here. Canvassing and Phone Banking for John Liu. 10AM-1PM or 2PM-7PM. Liu Campaign HQ at 36-35 Bell Boulevard. Bay Ridge Canvassing for Andrew Gounardes. 12PM Gounardes HQ, 311 86th Street. Marine Park Canvassing for Andrew Gounardes. Brunch at 2011 Glenwood Road (Home of Steve Cohen and Croline Piela-Cohen) from 11:30-2:30, leave for Canvassing at 1. More info here. Canvassing for Max Rose. Hosted by RunNYC. Sign up here. Big Blue Dial. Phone and Text Banking to turn the NY State Senate Blue. 1-6PM 1 Metrotech Center 11th Floor. Morning Visibility for John Liu. Liu Campaign HQ at 36-35 Bell Boulevard. Rally and Canvass for John Liu. 3PM. Bayside High School, 3224 Corporal Kennedy St, Bayside, NY 11361. We will be updating our website CBIDems.com regularly through election day. 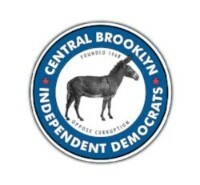 Copyright © 2018 Central Brooklyn Independent Democrats, All rights reserved.